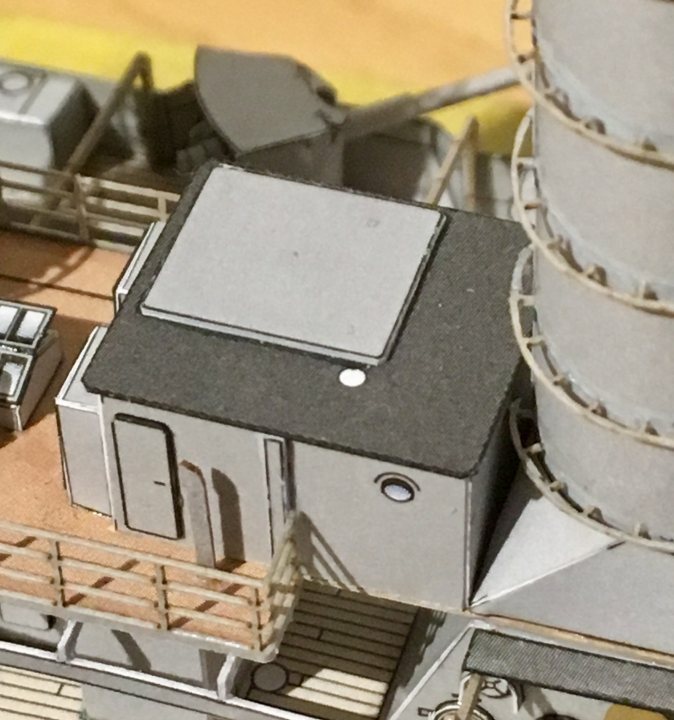 I also find attaching bottom of hull to your choice of display board way cool. them. The idea about gluing to deck/bottom edge and not too side formers very intriguing. Pay way more attention to what DRG is doing, not me! I’m riding his coat tails as well since I can’t remember how many times I’ve referenced his photos. I’m simply trying out some of my own techniques, and so far it’s mostly working out. The wood base idea works ONLY if you’re absolutely sure there won’t be any warping. I finished my piece of Bacote a couple of weeks before, and it’s stayed true. I think I’ll switch Mack to a thicker piece of Patagonian Rosewood for the next build. It’s heavy as hell but resists warping. I hear ya....by the way, nothing to post! Yep, update coming soon. I was in Rome, Italy last week and when I got home had to finish a 1/700 build that was nearly complete as it is. I’ve done some work on Emden today, but I haven’t had a chance to photograph it yet. It’s time I posted an update. 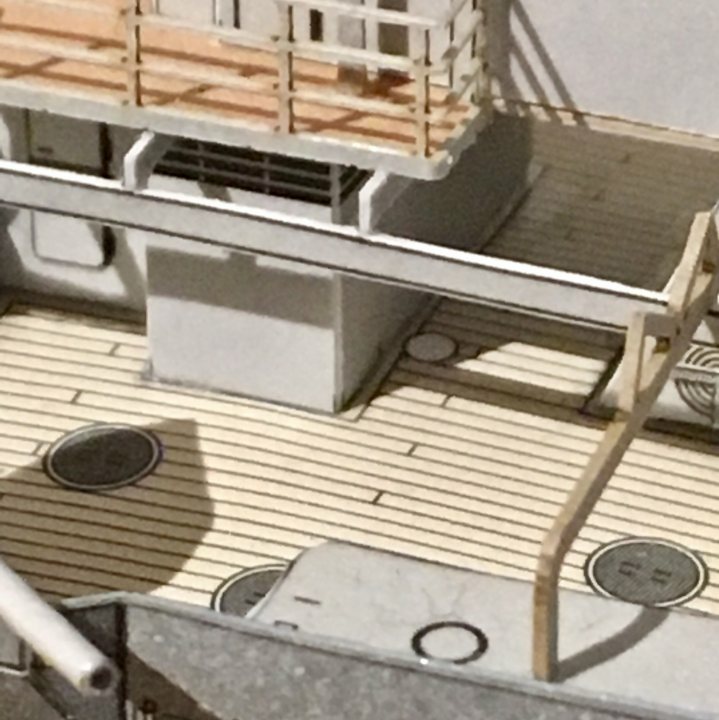 Most of the superstructure is finished as is almost all of the hull details. I haven’t run into any substantial issues but it seems the ships boat situation uncovered by DRG is going to be something to think about. I spent a substantial part of yesterday afternoon building the aft funnel. The funnel base is a complex fold (for me) and for the next 2 I’ll tackle them quite differently. Lessons learned. The masts hahe really been on my mind lately. 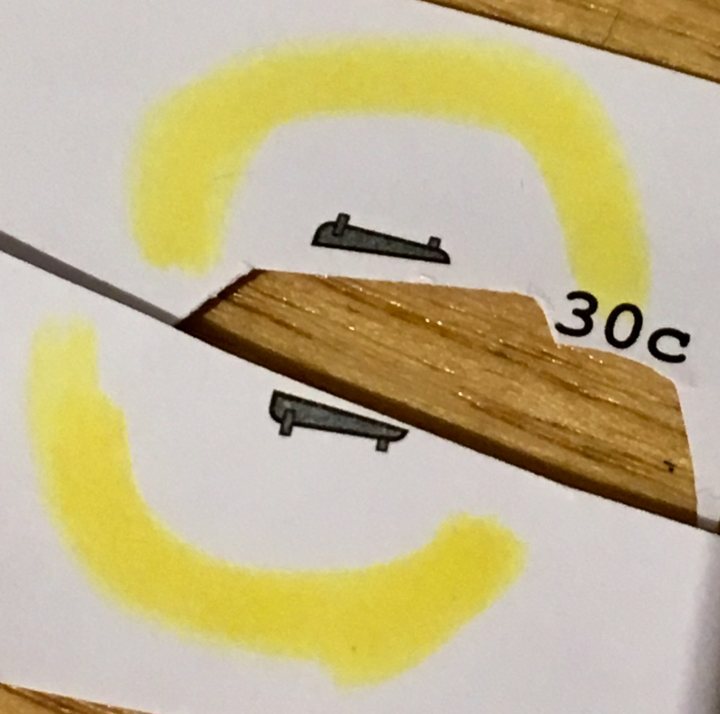 I use Modelkasten tungsten rigging wire so I could make them out of paper with no worries about sagging, but the resin ship modeler in me keeps eyeing the brass tube and the soldering iron. I’m reasonably sure at Thais point I’m going to build the masts from brass. I shouldn’t rely so much on autocorrect and actually proof-read for once! It's a truly beautiful model, and I enjoy your narrative, which is always well written - although "hahe" made me think for a minute. Until I realized it was a typo, I thought it was a term of art. Last edited by Don Boose; 12-20-2018 at 01:29 PM. Reason: To correct a typo of my own. I agree with Don - it's going to be a beauty. Fast work too. I'm looking at your rowing boat there with some envy. I've yet to figure out mine. Any ideas what was meant to fit in those places? Thanks! Glad you like, and sorry about the typo. I’ve already admitted to being a high-functioning idiot, and I stand by that! Those white circles, two I can answer off the top of my head, the other I need to wait until I get home. The small white circle on the radio room is the spot where the antenna connect. I’m not sure why they chose to make it so large, but that’s the spot. 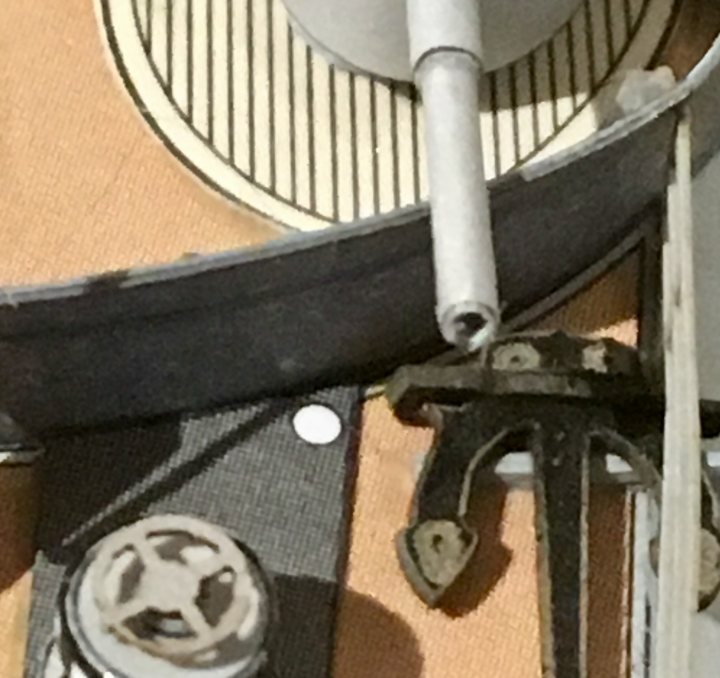 The small white circle near the capstans isn’t mentioned at all in the instructions but it’s where the spare anchor handling crane is located. I’ve only been able to make out in a couple photos and it’s nothing more than a dark spot. One drawing I have shows or connected to the breakwater on Emden but I don’t think this is correct but rather for Dresden.. It’s one of those small collapsible cranes that probably folds forward. The white circle is the base of the crane, which HMV never mentions. The midships circle I’m still looking into.